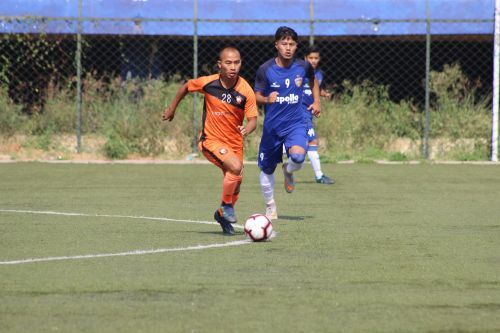 26 February, 2019, Bengaluru: South United FC were seconds away from registering their first win of the Hero Second Division League Season but were thwarted by a 92nd minute goal by Krishna Pandit. The opening few minutes saw SUFC dominate possession and make inroads into the CFC half. They created some half chances early on troubling the CFC backline but were unable to find a penetrative attack. In the 15th minute, David took on a speculative shot from a distance that seemed more hopeful than anything. The shot found its way past a flapping CFC keeper to give SUFC a 1-0 lead. Chennaiyin FC started to get into the game once they were a goal behind but struggled to test the keeper. Their threat from long throws seemed ominous in terms of being able to get a result from the game. Meanwhile, CFC seemed poor at the back, allowing the SUFC down the wings and only thwarting attacks with last ditch challenges. The second half saw CFC defend much better, they found themselves pushing SUFC back at times but the backline stood strong for the home side. 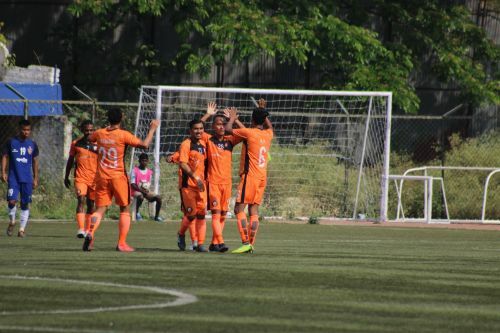 On one occasion, the keeper Jayanth had to intervene with a potentially match-saving save as Krishna Pandit got onto the end of a cross and directed the ball towards goal. The goal that came for CFC in the 92nd minute came as a corner which was floated into the box and after pinging around the box, it landed at Krishna’s feet and despite some pressure on him, he found the back of the net with a great driven strike. Having waited till the 92nd minute to pull off a rescue act, the Chennaiyin FC Reserves side denied SUFC their first win of the season.